This is a classic motiv in landscape oil painting. 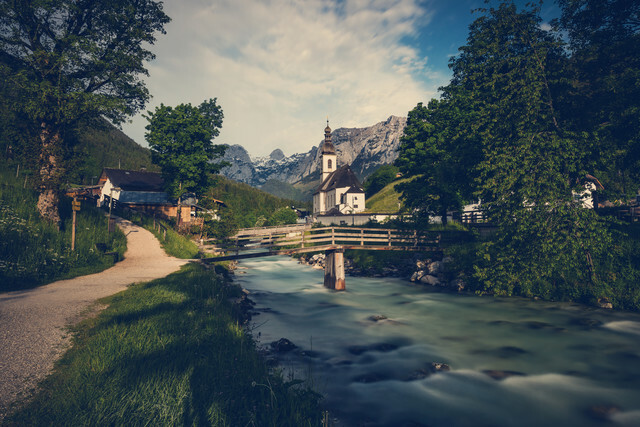 A lot of masters teached there students at this point about landscape art painting with the idyllic view to the church of Ramsau, Berchtesgaden close to Königssee. Now it's possible to buy this photo painting in this gallery.